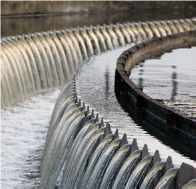 Neo RE300 coagulant, based on rare earth elements, makes it possible for wastewater treatment plants to achieve ultra-low phosphorus targets—as low as 0.07 mg/L—without adding or upgrading tertiary filtration equipment. This non-hazardous, concentrated chemical can replace conventional iron- or aluminum- based coagulants and dramatically improves chemical precipitation of phosphorus. The rare earth elements in RE300, Cerium and Lanthanum, enable the coagulant to form a strong, crystalline bond with phosphorus that produces a denser, more stable precipitate that settles about two times faster than alternatives. NEO RE300 binds tightly to phosphorus at a 1:1 molar ratio so much less is needed to achieve excellent phosphorus removal. Ferric or aluminum-based coagulants adsorb to the surface of phosphorus at about 5:2 molar ratio so much larger amounts are needed to reduce phosphorus levels in treated effluent. Concentrated formula reduces storage space requirements. A 777,000 GPD wastewater plant was having difficulty meeting discharge limits for phosphorus and aluminum. Increasing the dose of ferric chloride was unsuccessful and caused serious corrosion to buried chemicial feed lines. 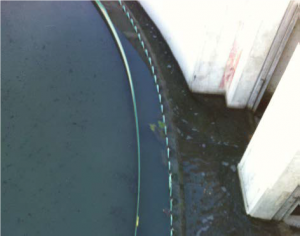 Read how Neo rare earth coagulant helped the plant achieve compliance, improve clarifier performance and protect costly equipment. Read more about the Albion WWTP upgrade here. When a plant was unable to meet new phosphorus limits with ferrous chloride, it seemed that a costly upgrade was the only option. The potential cost of new nutrient removal equipment was estimated at $2.8 million, plus higher ongoing maintenance and operating costs. 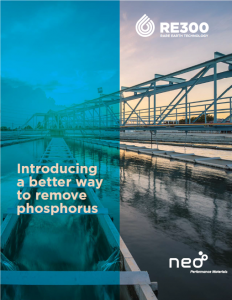 Read how Neo rare earth coagulant enabled the plant to achieve 0.075 mg/L phosphorus target and avoid a costly infrastructure upgrade. Read more on the Hartford case study here.